As a charity, the Citizens Advice Enfield relies on the support and generosity of members of the public like you. With your support we can ensure our office, our website and our outreach projects are there for you and for the rest of the Enfield Borough community. 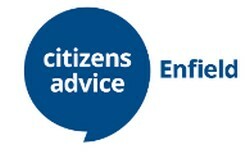 You can make a one-off or regular donations to the Citizens Advice Enfield. Making a regular donation to Citizens Advice Enfield by Direct Debit is the most efficient way to support us. Here is how you can donate to Enfield Citizens Advice Bureau by direct debit. Please text ECAB01 followed by the amount that you wish to donate to 70070. For example “ECAB01 £100“. Please send cheque made payable to the Citizens Advice Enfield and send it to. Easyfundraising is the easiest way to raise money for Citizens Advice Enfield. Shop with any of over 2000 well known retailers listed on easyfundraising.org.uk and a percentage of what you spend is passed to Citizens Advice Enfield at no additional cost to you. Retailers include Amazon, M&S, Vodafone, eBay, Tesco, Viking and many more. Amazon donates 0.5% of the net purchase price (excluding VAT, returns and shipping fees) of eligible purchases to Citizens Advice Enfield. AmazonSmile is the same Amazon you know. Same products, same prices, same service. Our service will be limited during the school holidays and means we will have to limit the tickets given out at 9.30AM. Normal service will resume from 23/4/19 for those with non-urgent enquiries.